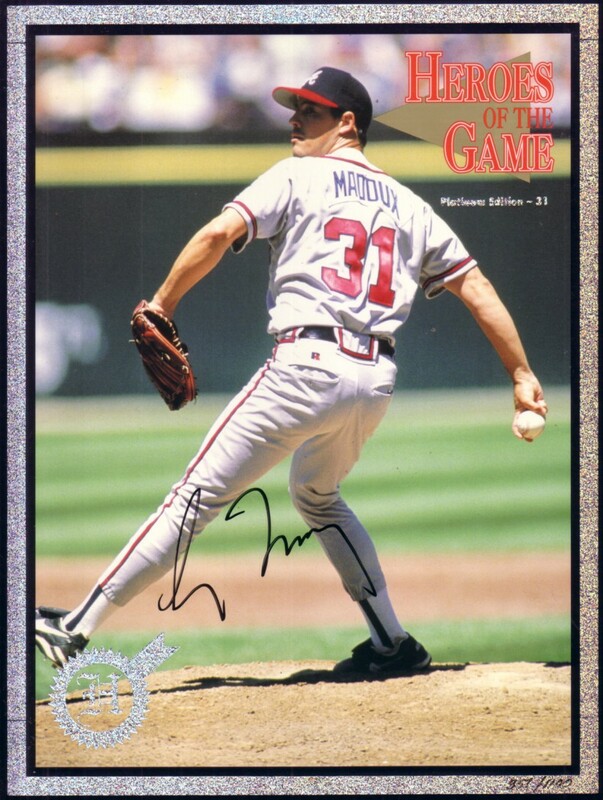 Complete Heroes of the Game magazine autographed on the cover by former Atlanta Braves ace pitcher Greg Maddux. Obtained in person at celebrity golf tournament many years ago. With certificate of authenticity from AutographsForSale.com. ONLY ONE AVAILABLE FOR SALE.